Disco Unchained had a wonderful interview with synth legend Loose Shus! Loose Shus is a wonderful guy, and super down to Earth! We can't wait for his new stuff! 1) How did Loose Shus start? I tried to make cop movie music, like during a chase scene there's usually 16th note hats and wah guitar, I wanted to do that, tried for many years. 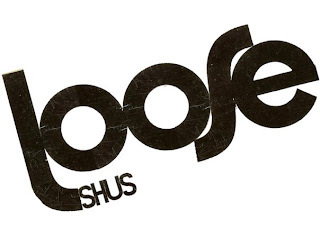 My failure to do so resulted in Loose Shus. 2) All time favorite song? I really like Moments In Love by Art Of Noise. 3) Top 3 musical influences of all time? I like the italian horror soundtrack stuff, goblin and morricone, and lounge stuff like Pierro Piccioni. Then also Mantronix type of drum machine music. 4) What is Loose Shus's favorite T.V show of all time? I don't know. Breaking Bad is good, The Wire is pretty good too. Lately I've been watching Peep Show, the british comedy. Big Train is really good too, they have a skit about Keith Emerson's synth collection, check it out. 5) Any new projects? New EPs coming out soon? I work with Randy Ellis we have a side project called Chautauqua. The new Loose Shus EP is almost done, I'm mixing it right now, so should be out real soon on voltaire records. I have a couple tracks on their compilations Affairs Online and Private Function, but have yet to do an EP. 6) You said you worked with Anoraak and College back in the day, how was that experience? I opened for them back in 2009 at a show here in San Francisco, then did some remixes and a track for the Valerie and Friends compilation. Those guys are great, really intelligent nice down to earth people. 7) Other interests outside of music? Skateboarding. I'm also into programming and video art, lately I've been doing a ton of AviSynth videos, all the edits and effects you do in source code, that's a lot of fun. I can't stand timeline editing, so either I'll use AviSynth or edit video via MIDI through a VJ program. Just recently I did a music video for this psych rock band Hollow Mirrors, and also I did a bunch of videos for the Shock "heaven" remixes. Also check out "sound fonts". It's an old multi-sample format, there are a lot of really great patches that people have made over the years. Also, check out digital keyboards right now, everyone is so Analog crazy that you can get some of the most amazing digital or FM keyboards for so cheap. I use a Roland JX-305, from the questionable "Groove" products of Roland, got it for $20. It's got all the famous Roland sounds like Syn-Vox, but hundreds of other weird patches too. I do like analog for bass sounds though, I'm using the Moog Slim-Phatty for most of my basslines. The Moog Sub-Phatty is really nice too, I wish I had one of those.